This is a module that allows you to add mp3 previews to your product page(it lets the user to listen an mp3 sample before purchasing the real product). It also allows you to add a preview mp3 from other products and it adds the price of the products and a ‘buy’ button. 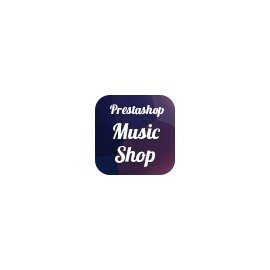 The music shop module for prestashop is the perfect addon for any music shop built with the prestashop framework. Any audio shop, either with digital audio or selling cds, will need a preview for their audio mp3s. It offers the user the posibility to manage his music previews for his prestashop website. 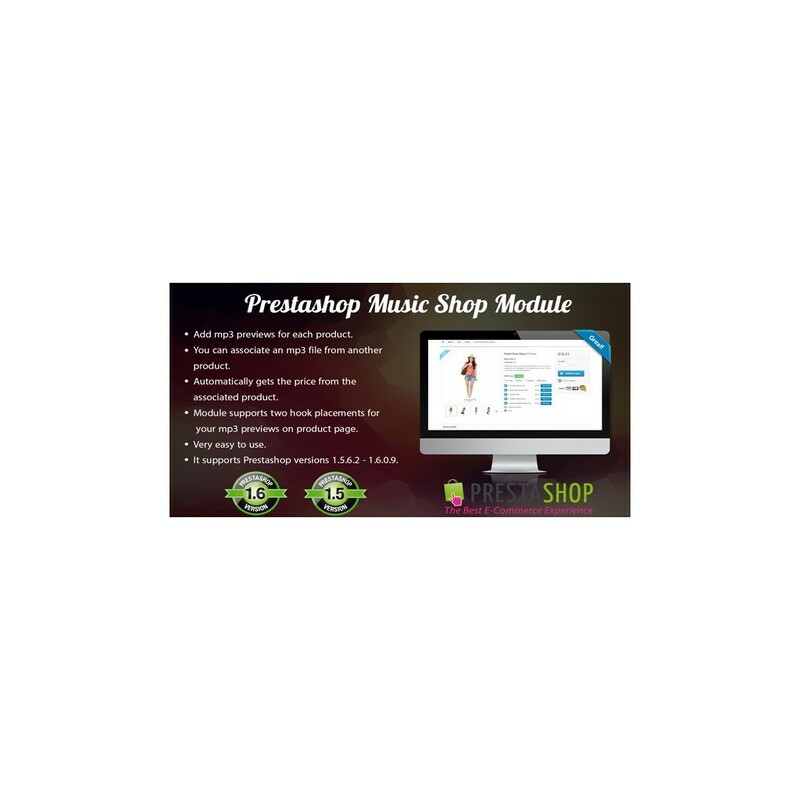 The prestashop music shop is very easy to use, simply upload your songs in your admin window and the module takes care of the rest. 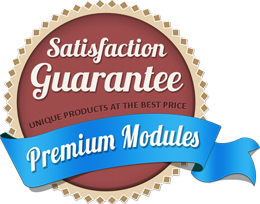 We've optimized the module for prestashop 1.6, but it works on prestashop 1.5 too. Add mp3 previews for each product. You can associate an mp3 file from another product. Automatically gets the price from the associated product and from the current product. Module supports two hook placements for your mp3 previews on product page. It supports the latest prestashop versions(1.5.6.2 – 1.6.x). 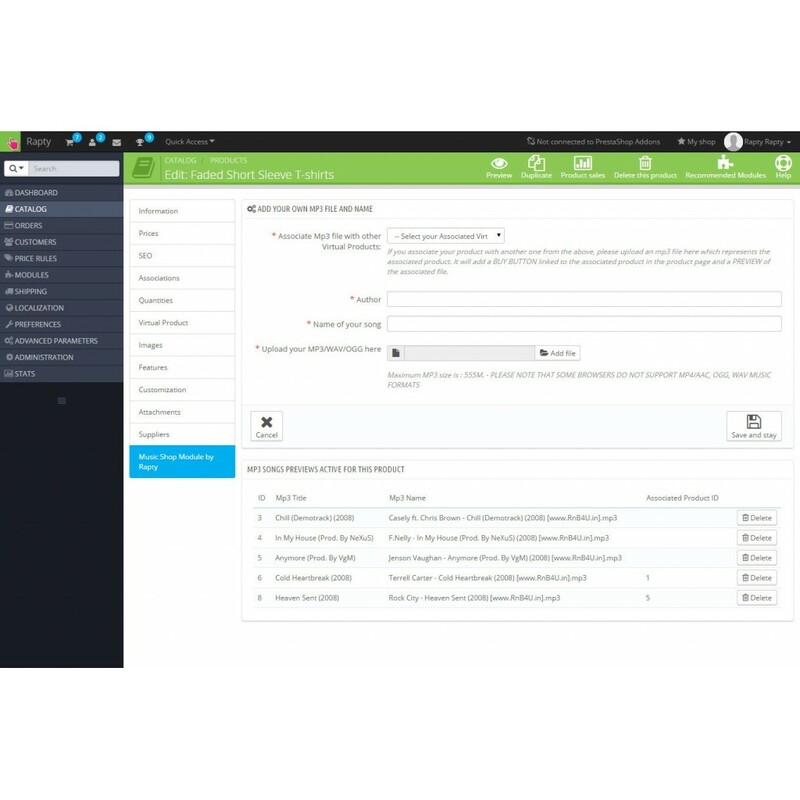 This is a module that allows you to add 360 degree view for all of your products in your prestashop website in a non-obtrusive way. This is a plugin that creates a box with a background image that has a parallax effect, a link and a text. Upload an image, configure the module, and you’re done! The Parallax effect is a very trendy effect, that can be seen on almost every website in nowadays. It will greatly improve your theme with this parallax effect. This is a module that allows you to add mp3 previews to your product page(it lets the user to listen an mp3 sample before purchasing the real product). 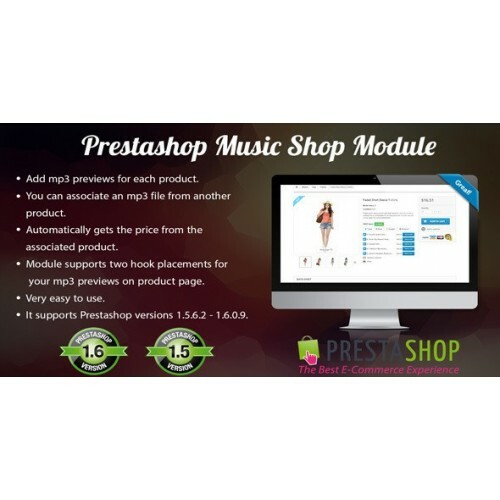 The prestashop music shop module also allows you to add a preview mp3 from other products and it adds the price of the products and a ‘buy’ button. It is the perfect fit for any modern prestashop audio shop. With this wonderful module you can add an MP3 MUSIC PLAYER in your shop.It lets you to add your own music from the admin panel.You can hook it in the footer/top/left/right columns of your site.It supports Prestashop 1.5.6.2 – 1.6.X. The prestashop audio player offers a surreal experience for the customer when he browses through the website. This is a module for adding youtube and vimeo videos on your prestashop product pages. It supports the latest prestashop versions(1.5.6.1 – 1.6.11). You can choose where to add your videos on your product page, either in the comments tab or on the right side of the product. You can add your own title for the video. Easy to install. Very easy to use. This module allows you to add wonderful customised Social Media Buttons and Icons for Prestashop. This is a module that allows you to add 360 degree view for all of your products in your prestashop website in a non-obtrusive way. The aim of this addon is to provide a 360 spin for any kind of product. 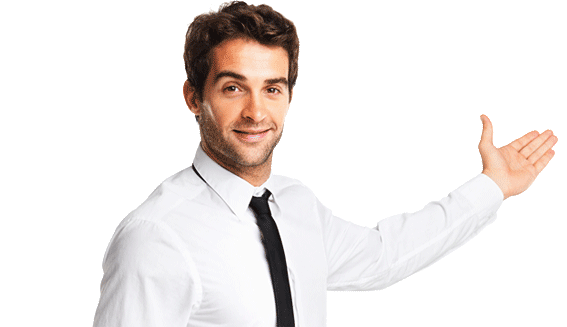 It presents the product in a smooth and detailed way. © 2015 ModulesDen. All Rights Reserved.